Is this drive the solution to all your mobile backup needs? There's a lot to like about Seagate's Backup Plus portable hard drive. It's light and shiny, and comes in four metallic colours. Seagate's USM (formerly GoFlex) system means you can remove the USB 3.0 connector and replace it with FireWire 800 or Thunderbolt. It's bundled with Dashboard software to back up pictures and videos to Facebook and Flickr, and upload to Facebook, Flickr and YouTube. A bundled NTFS driver enables you to write to an NTFS-formatted Seagate drive. At £70 it's not expensive for a good 500GB drive, and is available in 750GB and 1TB capacities. But one of its most important features has been removed from the Mac version of the Dashboard app. In the Windows release, a Protect option lets you run automatic and scheduled backups of user-defined content categories such as documents, movies, pictures and videos. We're told this feature was dropped as Mac owners use Time Machine, but it would still have been useful for making additional backups of very important data. 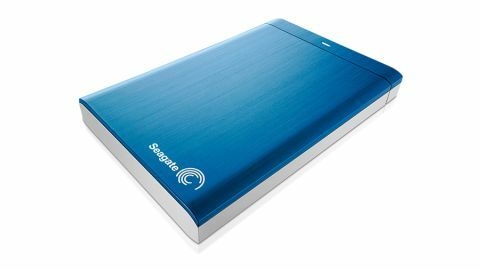 Seagate Backup Plus is a quality drive at a good price. If they hadn't have dropped one of its key features for the Mac version of its support application, the mark would be significantly higher.